You’ve read the title, ‘where parents can relax and kids can play’, this doesn’t seem likely to most parents. Holidays are usually a different location for the normal stresses and demands of being a parent. Not somewhere where you can relax! However, after reading a variety of online reviews and testimonials it seems that Villa Pia really is that sort of place! 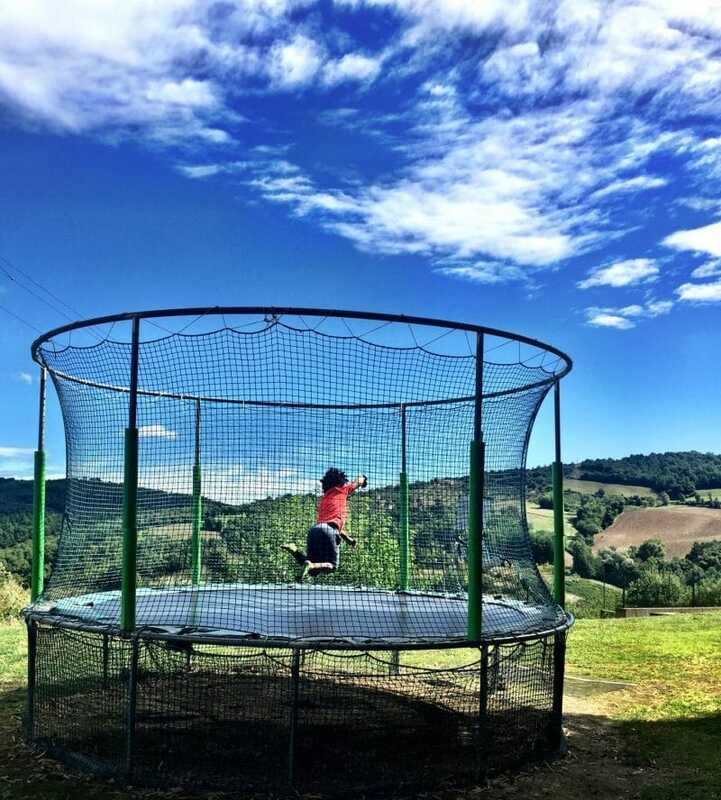 Set in 5 acres of land on Umbria’s border with Tuscany in Italy, there is plenty of space for children to explore together with their new found friends. There’s usually several different families staying, the children enjoying playing together and forming new friendships. With a variety of play areas and toys they can be busy for hours, leaving the parents to sit back and read that book or have a cold beer. 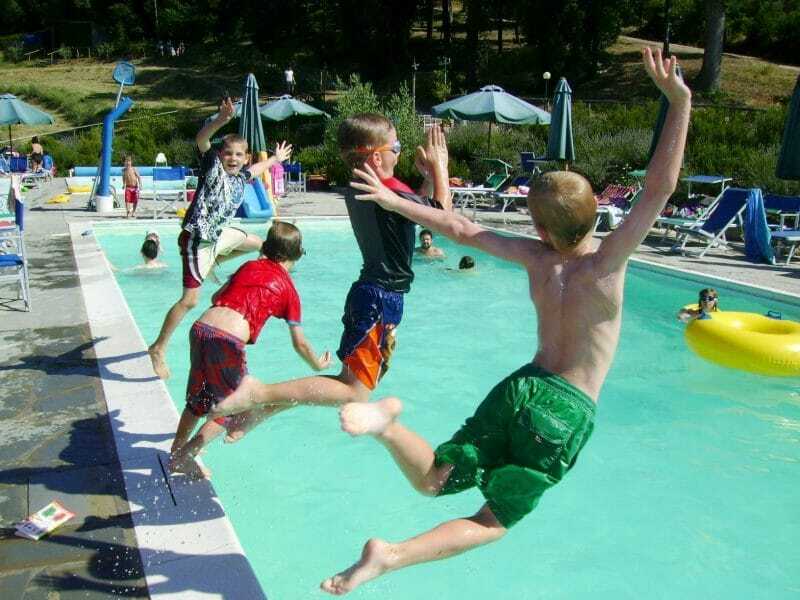 The heated swimming pools are perfect for playing with their friends and parents alike. As they are heated all year round there’s no worries about coming outwith summer, you know it will always be warm enough to swim. 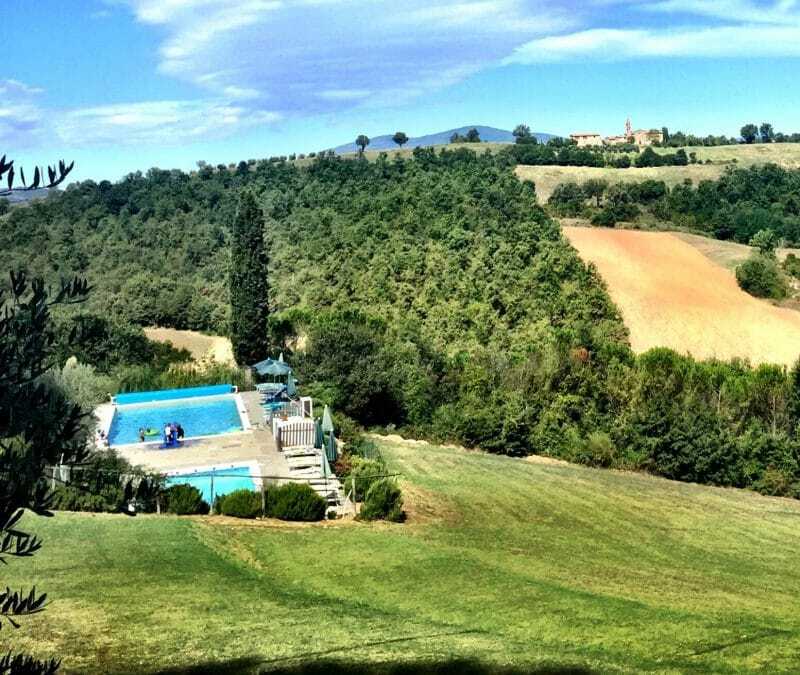 At Villa Pia there are 25 rooms, including family rooms and interconnecting rooms. 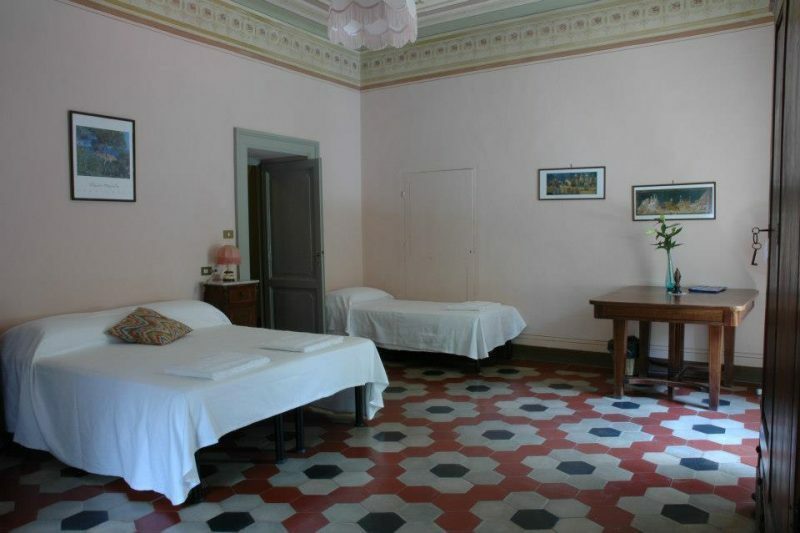 The main house has 17 rooms and the others are located at Palazzo Regina, which is just 5 minutes away. The family rooms are large with room for 2 adults, 2 children and an infant in a cot. Interconnecting rooms are best for those who prefer separate rooms and every room has it’s own private bathroom with bath and shower. 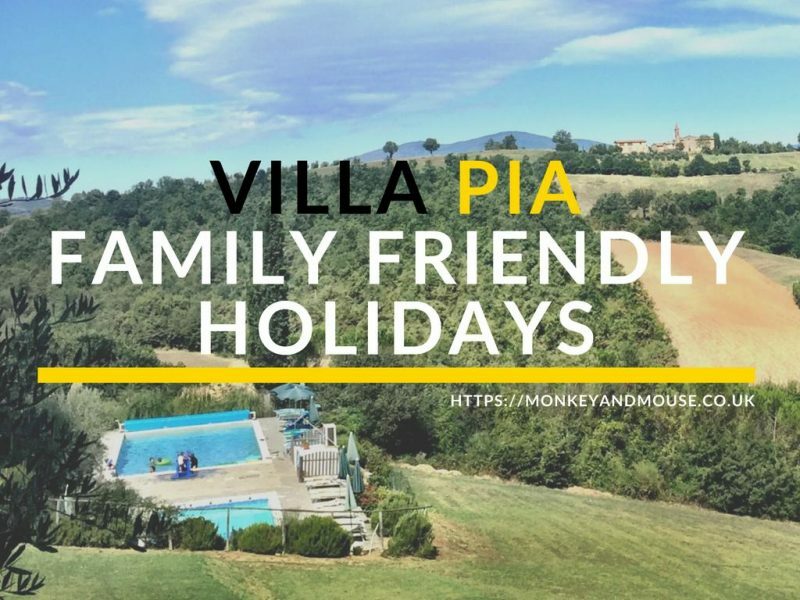 Villa Pia is all inclusive, there’s no need to worry about food and drinks. Each day there are huge spreads for breakfast, lunch and dinner, with snacks and drinks available in-between too. Children eat dinner 6pm and there’s an adult only dinner when the kids are in bed. A babysitting service is provided whilst the adults are enjoying dinner, although I believe that some of the rooms in the main building are within range of monitors. It really is all about the food and I found so many reviews online raving about how delicious the meals are and that there’s always something for everyone, kids will especially love all the pasta! One day a week the staff are off and you’ll have to fend for yourself, but apart from this you’ll find plenty to eat and drink. 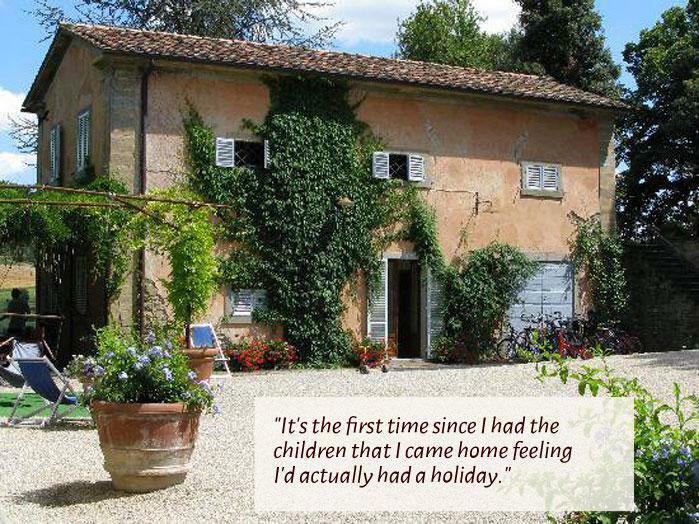 You may well be happy to just stay at Villa Pia for your entire holiday, spending time relaxing. 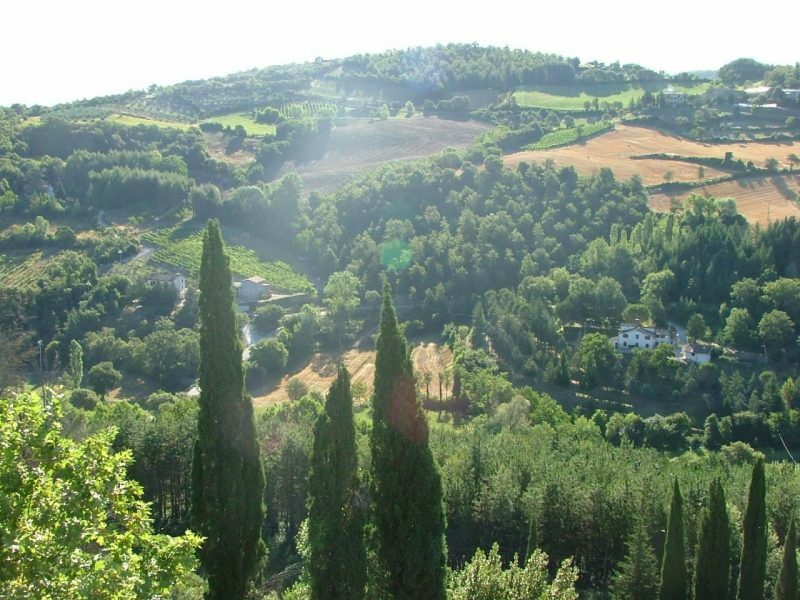 However, you can also take part in a variety of classes from adult and children’s cookery, to Yoga, Italian classes and wine tasting. If you would like to venture further out from the village the staff can arrange horse riding, hiking, cycling, visits to farms and more. There are plenty of interesting places to visit nearby, which would be great for exploring together. The villa is open all year round, the cheaper prices being the off-peak months. The shoulder seasons of spring and autumn are a lot cheaper per week, but they are still stunning. Temperatures in the spring and autumn are a couple of degrees less than summer averages, but still warm enough to enjoy the area. If you can fit in a visit to Villa Pia off the peak season you may be pleasantly surprised at the beauty of the place for a cheaper price. It sounds like the perfect holiday for families, with a great social atmosphere and plenty of time for parents to relax! * This is a sponsored post in collaboration with Villa Pia. Thanks ! It’s nice blog about the Villa Pia. It is best destination where you can be spend with your parents can relax and kids can also play in this holiday.